Felton’s Pharmaceutical brushes perform a multitude of functions in any FDA, USDA, and GMP controlled environments. These brushes feature an Acetal Thermoplastic core structural element, and synthetic brush fill that can be varied as to trim length, density, and flexibility. 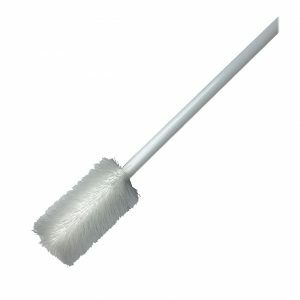 The brushes resist moisture absorption to inhibit the growth of bacteria and cross contamination between products as well as foreign materials. Properly used, Felton Pharmaceutical brushes require little or no maintenance. Read about our custom design assistance options. Thousands of Felton’s Pharmaceutical brushes are used in the Pharmaceutical Industry to move, meter, or level pills. Each brush can be custom designed to fit specific shapes and hardness requirements. More commonly they are used for Capsule polishing machines, Capsule filling machines, and Blister packing machines (feeder box brushes). High quality and superior performance nylon 6/12, with minimal moisture retention of 3% inhibits water, chemicals, and heat retention. 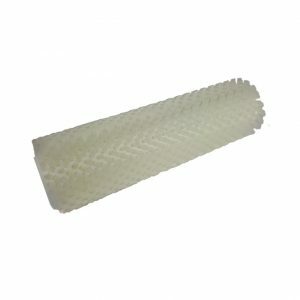 The Nylon is also flexible and has excellent bend recovery while maintaining wet and dry stiffness even in the most extreme temperatures. Resists foreign contaminants and moisture absorption to inhibit the growth of bacteria. EPA registered and approved for use by the FDA, NSF, and USDA. Past conductive Nylon materials had to be grounded in order to dissipate charges whereas antistatic materials inhibit the generation of static charges. Excellent creep resistance and fatigue endurance. Low to no water absorption.